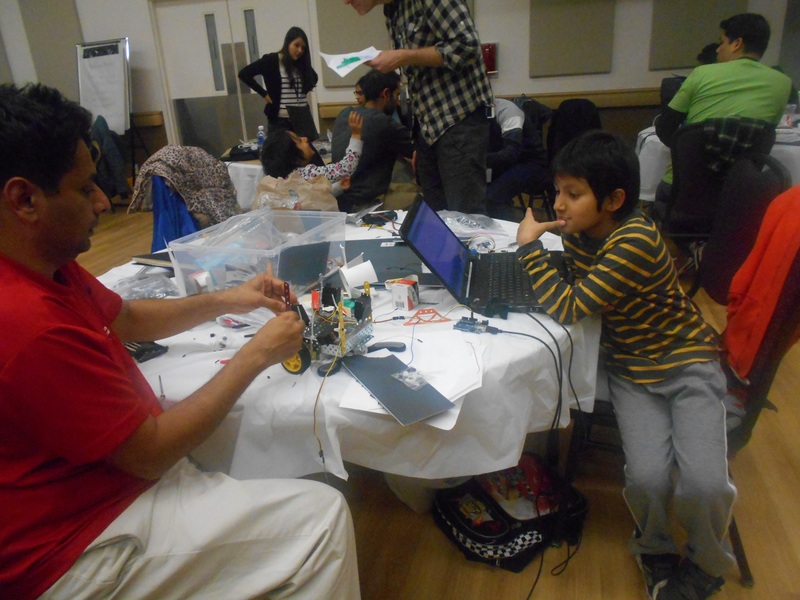 As a part of GetYourBotOn (GYBO) 2014 hackathon held in the Ontario Science Centre (14 – 16 November) we created the “Robo Domino”. Robo Domino is a spacebot guided by domino effect – one thing leads to the other. When Robo Domino lands on another planet, it automatically senses the ground, deploys the solar panel, raises the Canadian flag, starts moving while navigating obstacles, collects temperature and luminosity data, and starts transmitting it back to the base station. 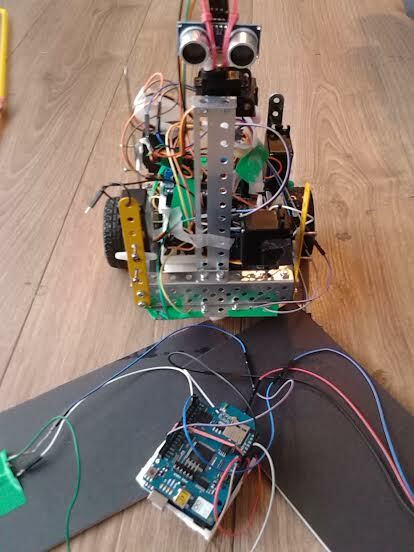 RoboDomino was built using 3 arduinos, 5 servos, 2 wheels, a host of sensors including ultrasonic, temperature, luminosity, and meccanos. 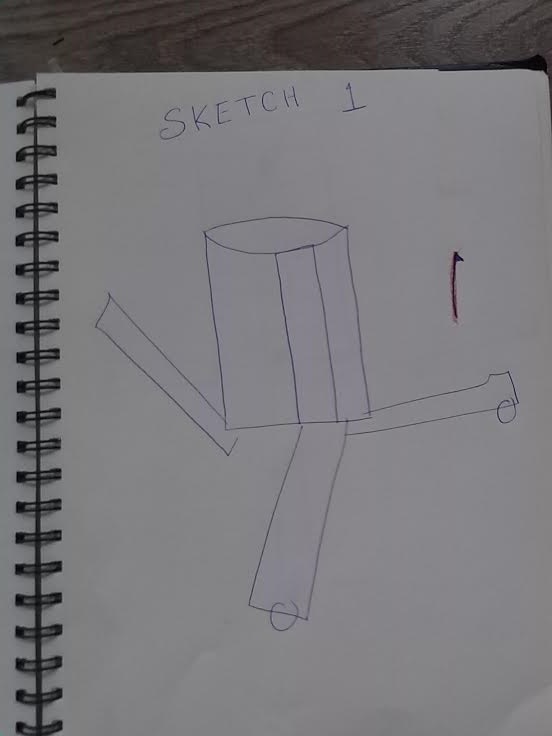 Over 20 sketches, and countless changes were made over 25 hours it took to make this robot from scratch.